Environmental activist Heri Budiawan, popularly known as Budi Pego, is continuing his fight to prove his innocence as incarceration looms over him after the Supreme Court sentenced him to imprisonment. 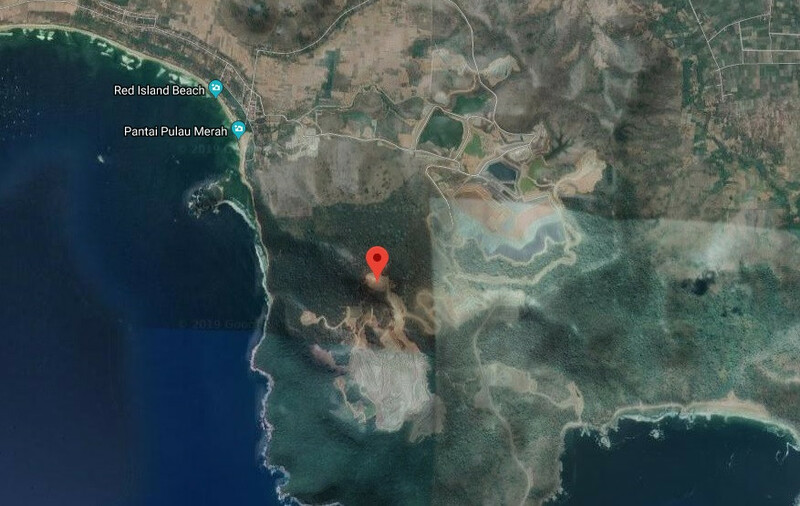 The 39-year-old gold mine critic could likely face imminent detention at the request of the Banyuwangi Prosecutor’s Office in East Java, after failing to answer his second summons deadline on Dec. 27. He now faces a third summons. “After issuing a third summons, prosecutors can request that Heri be forcefully detained whenever and wherever they want,” the Indonesian Forum for the Environment (Walhi) director in East Java, Rere Christanto, said recently. Prosecutors have summoned Heri to execute a recent Supreme Court verdict against the activist. In November, a panel of judges at the Supreme Court sentenced Heri to four years in prison for violating the Criminal Code’s articles on crimes against state security — far longer than the 10-month sentence handed down by the lower courts. He was previously arrested because the police accused him of displaying a banner with a hammer and sickle logo during a rally to oppose gold mining in Tumpang Pitu, a mountainous area in Banyuwangi, East Java, which is believed to be prone to environmental degradation. Tumpang Pitu had been designated a protected forest area, but on Nov. 19, 2013, then-forestry minister Zulkifli Hasan, now the People’s Consultative Assembly (MPR) speaker and National Mandate Party (PAN) chairman, issued a decree changing the status of 1,942 hectares of the protected forest to production forest, paving the way for mining operations to begin. A group of environmental activists, including those from Walhi, have made various attempts to postpone the execution of the court’s ruling. Rere said they had sent letters to the Banyuwangi Prosecutors’ Office as well as the Attorney General’s Office, requesting them to postpone the imprisonment. They argued imprisoning Heri would be invalid, as they had yet to receive a copy of the Supreme Court’s verdict, thus violating a provision in the Criminal Law Procedure Code (KUHAP). This also hindered them from filing a case review request to the Supreme Court to challenge the verdict, Rere added. In their efforts to prevent Heri’s imprisonment, the activists also reported the case to the Supreme Court’s supervisory body and the Indonesian Ombudsman. “We are pulling out all the stops now because it will be much harder to prove Heri’s innocence once he’s put in prison,” Rere told The Jakarta Post. Support has built for the activists, with hundreds of Sumberagung village residents – Heri’s neighbors – holding a protest at the Banyuwangi Prosecutors’ Office in December, demanding prosecutors postpone the imprisonment. Things are currently at a stalemate, as the prosecutors’ office has yet to make another move against Heri. The office’s general crime section head Budi Handoko said they had yet to issue a third summons as the office was waiting for orders from its superiors. “However, we will proceed with our plan to arrest him, as we have received the excerpt of the sentence. We argued that it’s sufficient to implement the sentence,” Budi told the Post recently. He, however, did not disclose when the office would issue its final summons. The Tumpang Pitu mountain range, which is located in Sumberagung, is considered to be the second-largest gold and copper reserve in the country, after Grasberg in Papua. A 992-hectare gold mine complex is currently operated by PT Bumi Suksesindo (BSI) and PT Damai Suksesindo, two subsidiaries of PT Merdeka Copper Gold, a publicly listed mining unit of investment firm PT Saratoga Investama Sedaya and PT Provident Capital Indonesia. According to Merdeka Copper Gold's and Saratoga Investama Sedaya's websites, several people sitting on their boards of commissioners are connected to the country's top politicians. In 2006, the Banyuwangi regency administration granted a permit to PT Indo Multi Niaga to conduct mining operations in the area. The company then transferred the permit to Merdeka Copper Gold through its subsidiaries. Members of the Banyuwangi community have opposed mining operations since 1997, claiming such operations had caused or would cause damages to local roads used by residents. They also expressed concern gold mining would affect the local water supply, as such mining operations are known to use huge amounts of water. BSI spokesperson Teuku Mufizar Mahmud dismissed such claims, saying the company had been working with the local administration to repair and construct roads leading to the mining complex. He added that the company had also implemented high water treatment standards to prevent the disruption of the local water supply. “We have also done forest and land rehabilitation, both permanent and temporary, in areas we cleared previously to increase land productivity and prevent landslides,” Mufizar told the Post.